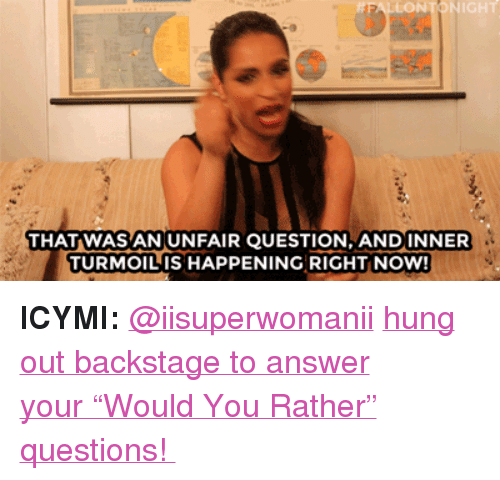 ICYMI: @iisuperwomanii hung out backstage to answer your “Would You Rather” questions! WEB EXCLUSIVE: @iisuperwomanii hung out backstage to answer fans’ “Would You Rather” questions! @iisuperwomanii‘s parents give Jimmy a few suggestions to improve The Tonight Show. 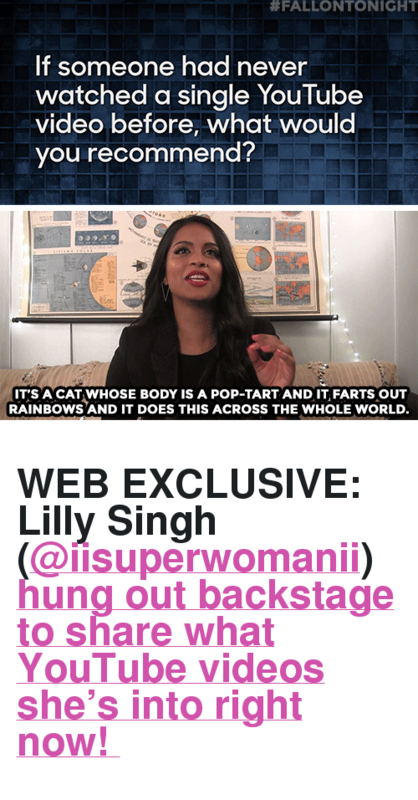 WEB EXCLUSIVE: Lilly Singh (@iisuperwomanii) hung out backstage to share what YouTube videos she’s into right now!